What are Slip and Fall Injuries? When a person is injured on another's property by slipping, falling, or tripping due to a hazardous object or condition, it is called a slip and fall injury. Examples of slip and fall injuries include slipping on ice, tripping over debris, falling off of a ladder, tripping on uneven surfaces, slipping on a wet surface, tripping over a hole, and other similar accidents that may cause the victim to fall. Slip and fall injuries may result in broken bones, sprained ankles, back injuries, torn muscles, etc. Typically, the property owner where the slip and fall took place is liable for the accident, as they are expected to keep their property free from hazardous conditions. Personal injury lawyers are experienced in slip and fall cases. An attorney will assist a victim by thoroughly investigating the conditions of the accident, finding the liable party, and speaking with witnesses. If you have suffered a slip and fall injury, an experienced attorney may be able to help you recover compensation for medical expenses, lost income, and other damages related to your pain and suffering. A lawyer will also deal with any insurance companies that may be involved so you can take the time to focus on your recovery. 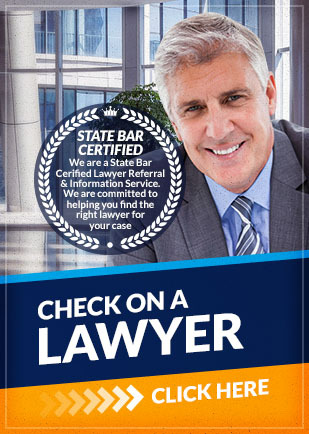 Attorney Search Network will connect you with a personal injury attorney that is knowledgeable in slip and fall injuries. Seeking legal advice is beneficial, as it may be difficult to prove fault in a slip and fall accident. We can help you quickly find the right lawyer that will ensure the responsible party is held liable and that will help you get the recovery you need. If you have been injured in a slip and fall accident, contact Attorney Search Network today. Attorney Search Network can quickly provide you with an attorney referral you to a pre-screened slip and fall injury lawyer in your area.